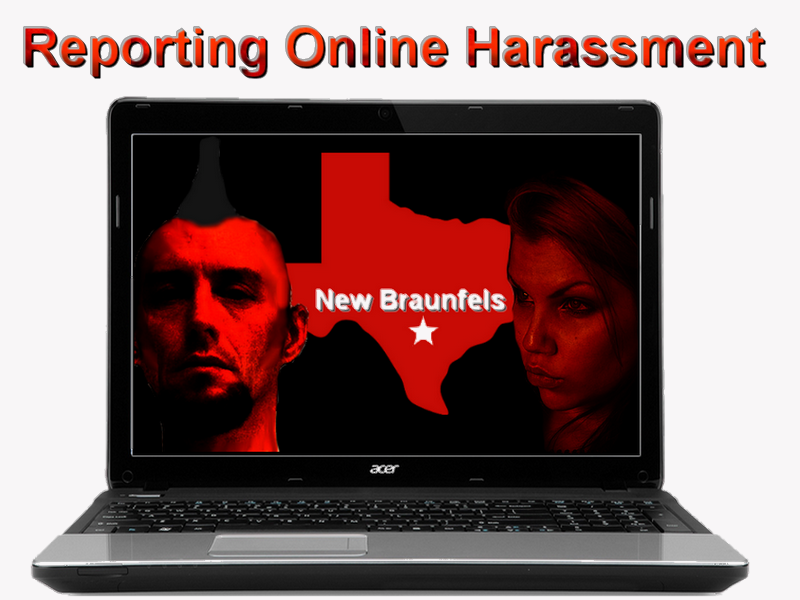 Having followed Thomas Retzlaff's antics in Texas, I've become familiar with that states laws concerning online harassment and online impersonation. I can't claim to be an expert but I'm obviously more informed than Brandon King. 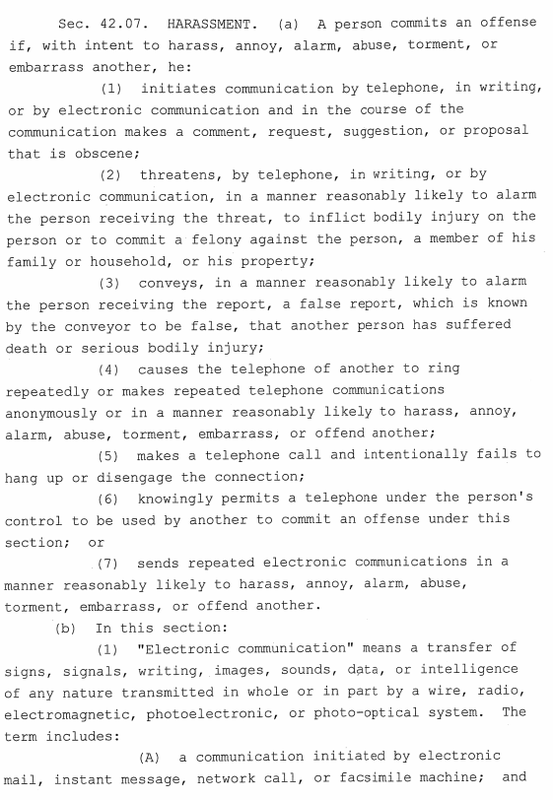 In Texas, even in the city where Brandon lives, harassing someone is a misdemeanor and can be punished by up to 6 months in jail and a fine. Texas also has an online impersonation law which includes having someone's personally identifying information, address and date of birth with the intent to harm, defraud, intimidate or threaten any one. Online Impersonation is a felony, punished by 2 to 10 years in a state prison and/or a fine of up to $10,000. Brandon's been guilty of both online impersonation and harassment for years so it's about time the cops were made aware of this and the involvement of his girlfriend, Heather Martin. 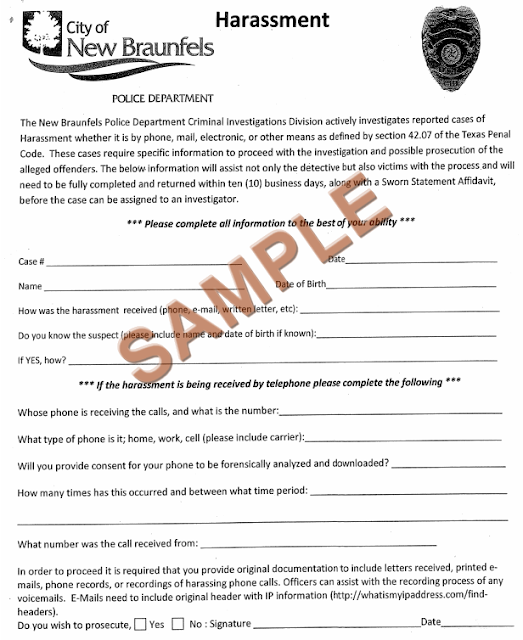 The New Braunfels police department has several options to file a report. 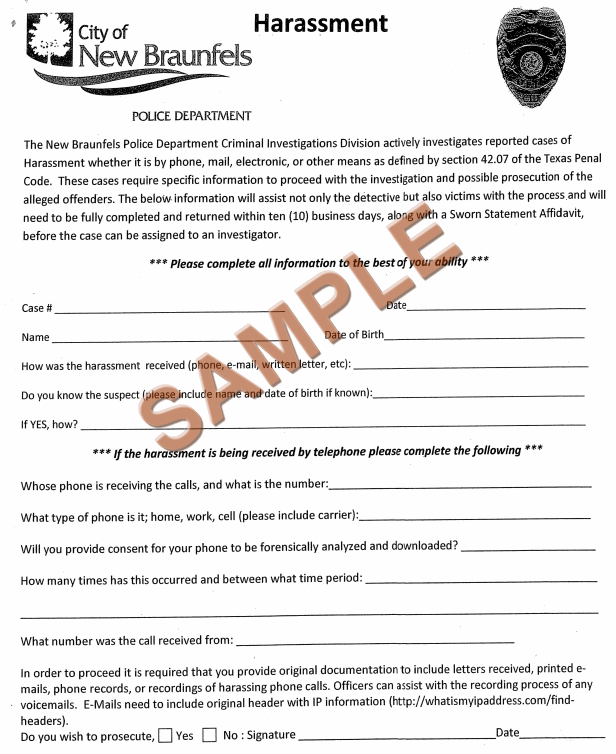 Since you know the identity of the person you're reporting you can call (830) 221-4100 and talk to an officer and file your complaint via phone. There's an anonymous tip line you can call 830-620-8477 or 1-800-640-8422. And an online form for anonymous tips. If you feel you can sign a statement swearing that you've been harassed by Brandon King and/or his girlfriend, Heather Martin, then you should certainly use the Online Police Report. It's just like a regular police report but there's a point where you're asked to upload any supporting material, like screen captures, etc. and at the end you're asked to describe what happened. The online report can time out if you take too long, so get prepared ahead of time and have your screen caps and written description of what took place ready to go. The process is pretty simple but it is an actual police report so it's serious business. 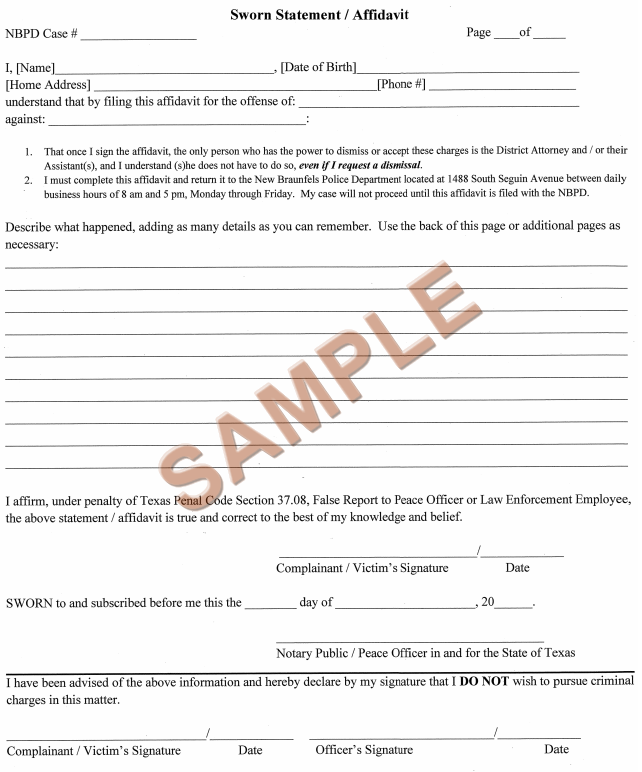 After doing the online form, you have to submit a sworn statement, get it notarized, and then send it to the New Braunfels police department within 10 days. I've uploaded the statement form below so you can see what it looks like. Watch the Police eReport Tutorial and decide which option works best for you. 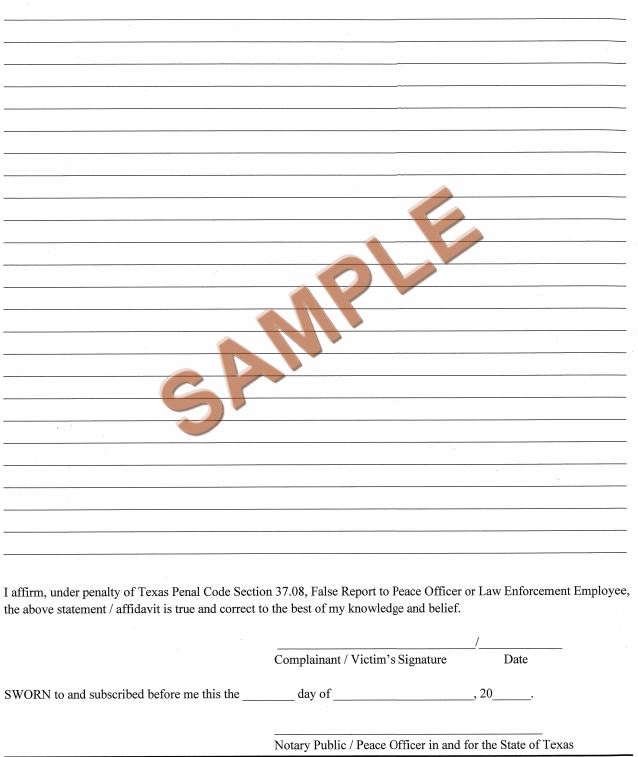 And this is the form to submit your sworn statement. It needs to be notarized and then sent to New Braunfels police department within 10 days.